Ice Racer, Mike Ryan, digs out of the drifting snow, only to watch his crew and ship disappear into the raging blizzard. A storm, so fierce, that nothing and nobody, can survive its ferocity. Facing insurmountable odds, the young ice racer battles against blinding snow and sub-Arctic temperatures, on his trek back to the ice caves of his home, the New Capital. The 23rd century. The third planet from the sun is now a revolving, uninhabitable sphere of ice. The atmosphere is void of sunlight. Volcanic ash clouds the skies. The air is toxic. Small, isolated clusters of humans toil deep beneath the planet’s surface caught in a daily struggle of survival. Few people dare venture above ground. 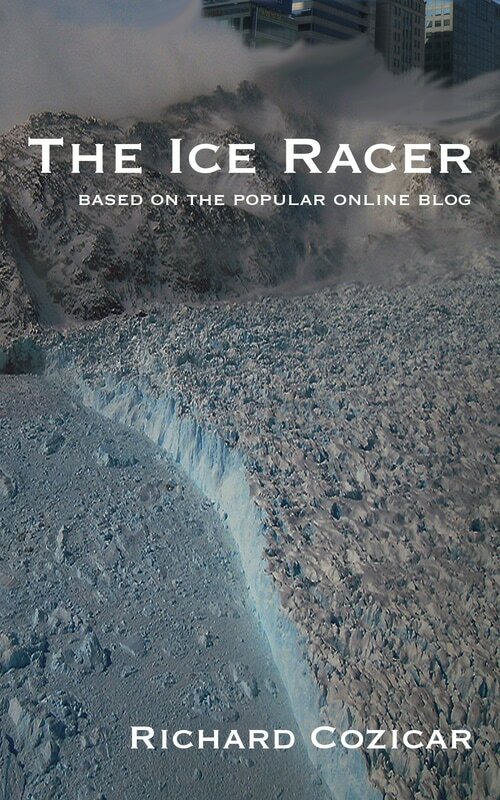 These brave few are the ‘Ice Racers’ and now, Mike Ryan is stranded in this deadly, unforgiving environment. In a vast cavern buried deep beneath the ice cap, exists the City of Adams Mountain, inhabited by a civilization long thought extinct. The hidden city is a paradise well beyond the ice racer’s wildest imaginations. The ruling prophets of Adams Mountain are intent on keeping their city and its inhabitants, secret, and will go to any extreme to prevent the discovery of their community by the outside world. A mysterious young woman, a troubling secret and a dire warning add to the tribulations of the young hero. ​From unrelenting storms and the numbing cold that ravage the face of the ice-covered planet to heated rivers of molten lava below ground and hostile encounters, Mike Ryan’s future hangs in the balance. Every decision he makes on the journey home is fraught with unexpected circumstances.